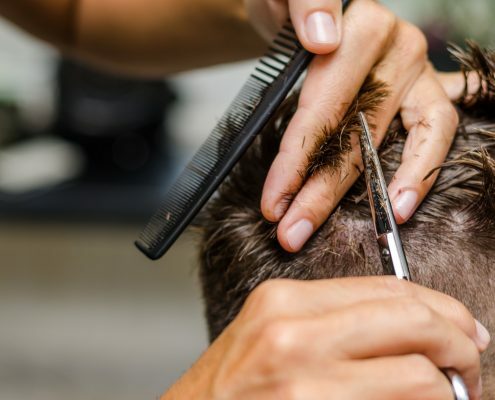 If you have found a haircut that you love, want a new change, or aren’t sure what to do with your hair and want some advice, then why not book a gentlemen’s haircut in Sawtry with us? Our experienced and extremely talented hairdressers offer our clients high quality gentlemen’s haircuts that suit their exact needs and styles. 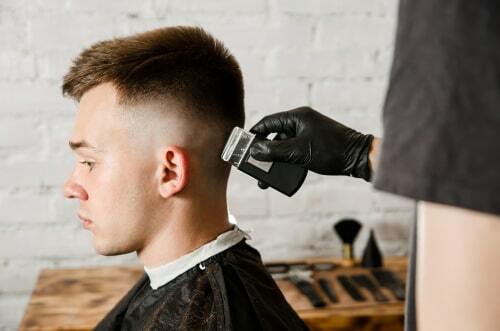 You may be considering a faded hair cut, a hair cut with your son to get matching styles (brilliant bonding time), a crew cut or a standard short back and sides. There are a variety of gentlemen’s haircuts in Sawtry that we can offer. 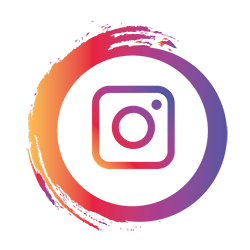 If you have seen a hairstyle you like then why not bring in a photo for us and we will check out your hair condition and length, your every-day hair routine and your likes and dislikes to tell you if this is a good hairstyle for you. Our gentlemen’s haircut stylists like to stay on top of all the latest hair techniques, hair trends and styles. When you choose Rumours Hair for your gentlemen’s haircut you can rest assured that you’re in safe and very talented hands. Our hairstylists will expertly users scissors and clippers to create the haircut you require. The low fade haircut is a really stylist, modern and trendy look. The fade in this style is left low and very short, and then it starts to blend into more length and volume around the temples. This hairstyle looks really good when the hair is slicked back, creating a polished and well groomed look. This is a really dramatic look, especially when it starts just above the ears. The mid fade haircut then blends into medium length hair and create a really awesome tousled and textured style. This style can be worn with a deep parting and comb-over to give it natural movement and volume. The skin fade haircut is definitely the latest craze in gentlemen’s haircuts in Sawtry It is a really bold and fun hairstyle with a dramatic look. It’s really easy, everyday low maintenance style, which is maybe why it is such a popular gent’s hair cut? However, it is a really strong, smart look. Just make sure you keep popping back in to keep your hairstyle looking fresh. 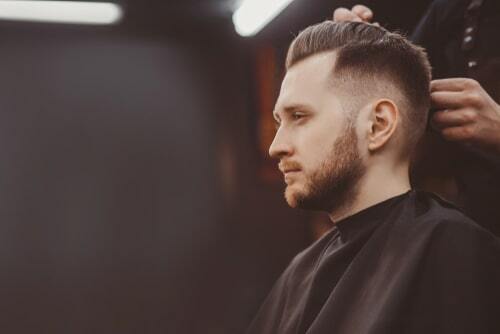 If you’d like to book in for a top-quality gentlemen’s haircut in Sawtry then please contact us now, by sending an email, popping into the email, giving us a call, or filling in the contact form. We look forward to working with you and your hair soon.